especially when an Arctic blast dips down from Canada for a visit. This mama cat and her five kittens will help insulate the bottom of a door to keep cold air at bay. They are made of 100% cotton and cotton/polyester fill. 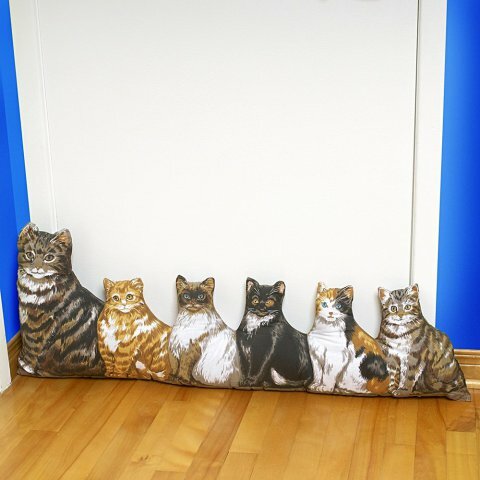 In addition to stopping those chilly drafts it is also a cute household decoration for any cat lover. After all, home is where the cat is. 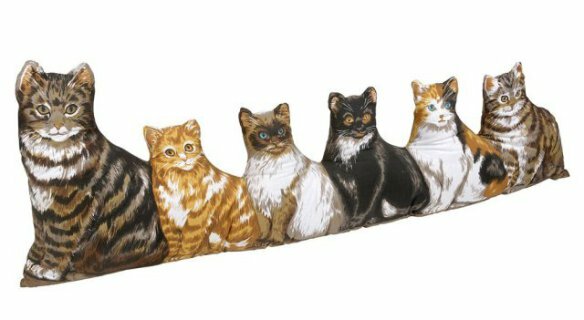 To order some of the cutest weather-proofing ever -- a Cat Draft Stopper -- click here.